An Orange County, California native, Jake is currently enrolled as a student in Washington, DC. 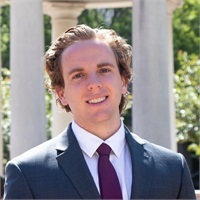 He participates in numerous financial clubs and organizations and enjoys exploring the complexities of national politics during his time as a student in DC. When home in California, he continues to assist his local Boy Scout troop as an Eagle Scout and spends time with friends and family.